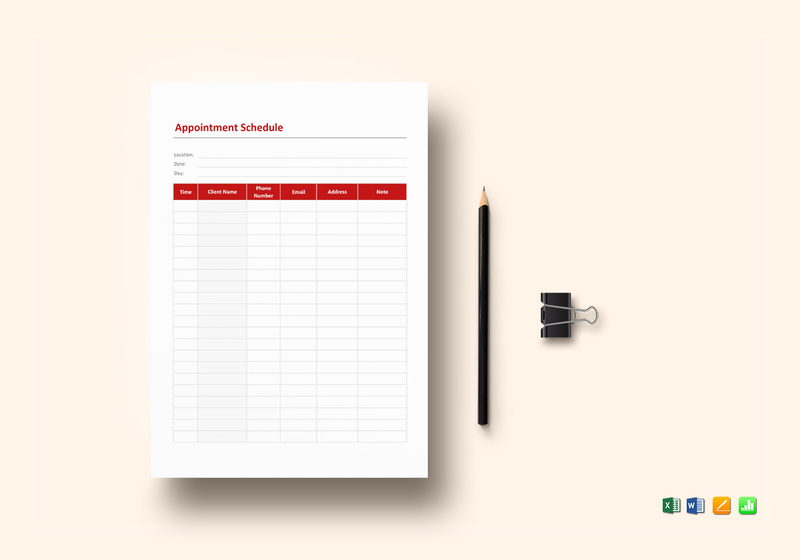 Get your appointments organized using this Appointment Schedule Template. 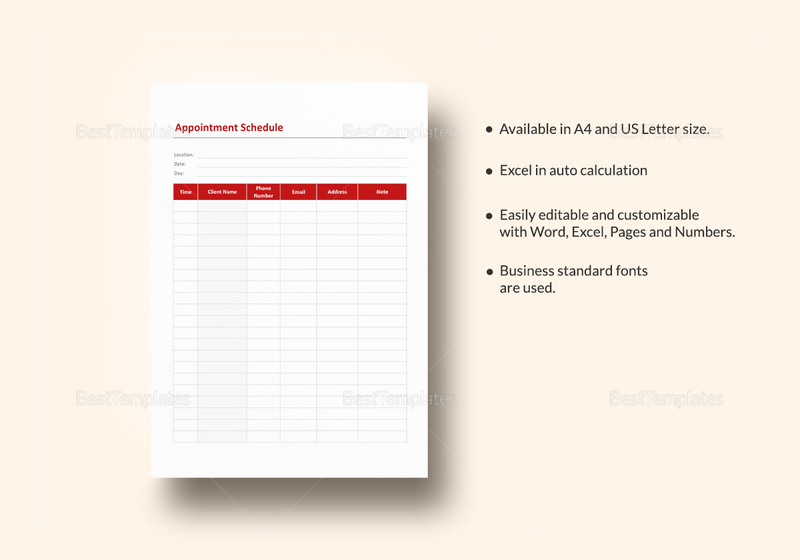 This simple but useful template comes in standard business fonts in A4 and US letter sizes. Edit using your favorite application that supports MS Excel, MS Word, Numbers, or Pages file formats. Simply replace the text in square brackets with your information and be done in minutes. 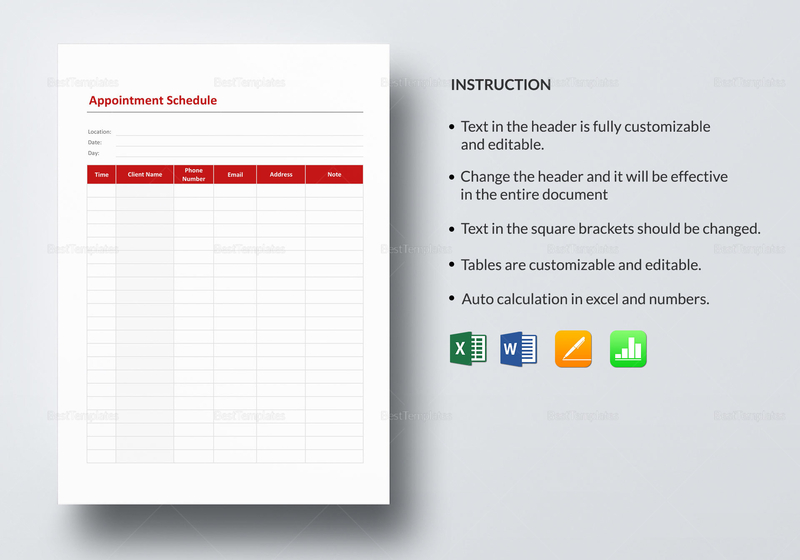 All text headers as well as the tables are fully customizable.